Only 45 minutes from St. John's, Newfoundland. 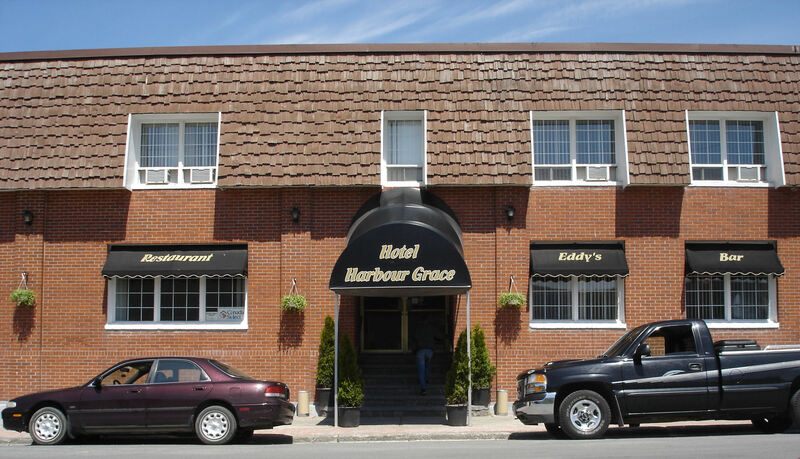 Hotel Harbour Grace is located at 66 Water Street in Historic Harbour Grace, minutes away from Carbonear commonly known as the Hub of the bay. In operation for almost 65 years this well established Hotel features air conditioned Hotel rooms and suites. Fully licensed dining room and fully licensed lounge. Adjacent building has 8 motel rooms. One air conditioned three room master suite with whirlpool tub. One air conditioned two room suite. One air conditioned two room family suite. Fully Licensed air conditioned Dining Room. Serving Canadian cuisine and traditional Newfoundland meals. Fully Licensed air conditioned lounge with Big screen television. For events in the area please see the events calendar link. For Bookings and room rates please click on the reservation link. Website developed by P&P Hotel Ltd.